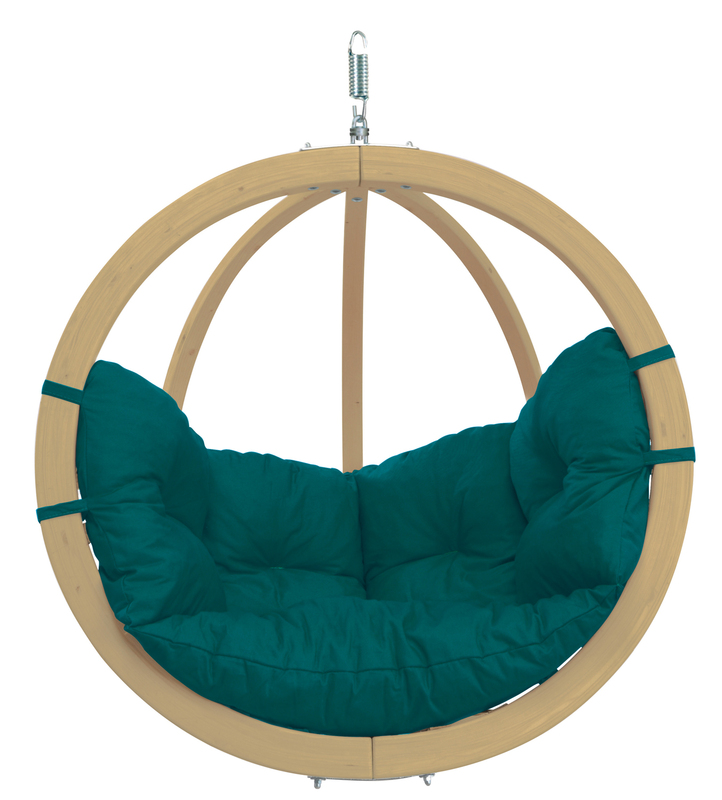 This indoor hammock chair is not only spacious, it is also quite functional. With a carrying capacity of 355 lbs (160 Kgs and a seating width of 4ft 3 inches (130 cm), it is quite large and ideal for one or two people. With a total height of 6ft 1inch (185cm) and a seating length of 6ft 11inches (210cm), it can easily accommodate people of varying sizes. For maximum comfort, the required minimum height that’s required from the ground up is 7ft 3 inches (220 cm). 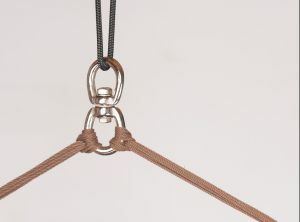 However, if the suspension is from a point that’s higher, then all you need to do is extend the hammock chair with a stable rope or a hammock chair hanging kit. The hammock as a cultural asset is considered by many as a place for relaxation and well being and the Organic Hammock Chair Lounger HABANA doesn’t disappoint in this regard. Made by hand in Colombia, the unit is of impeccable quality and workmanship. Developed using 100%, fuzz-free, hard wearing cotton from organic cotton production that complies with EU regulation EEC 834/2007, the unit is durable and sustainable. Apart from being environmentally friendly, organic cotton is also easy to clean, maintain and very soft to the touch. To enhance its quality, the unit does pride itself in having a tearproof selvage. 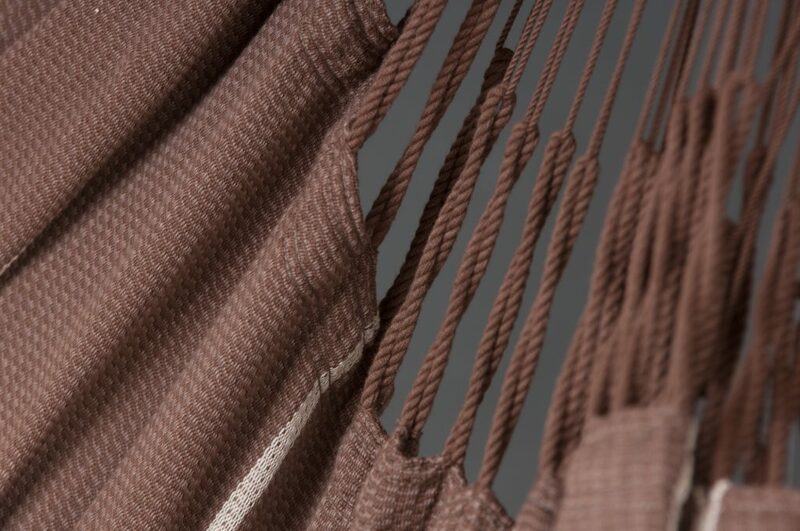 This has been achieved by doubling the weft threads which reinforces the selvage. It is also worth mentioning that a large number of cords not only ensure optimal weight distribution but also offers incredible comfort and durability to users, both young and old. In addition, the robust and attractive spreader bar is made from bamboo wood that’s been certified as coming from responsible forest management sources. Produced using high quality plate technology, the spreader bar has a pleasantly smooth surface and is exceptionally weatherproof. 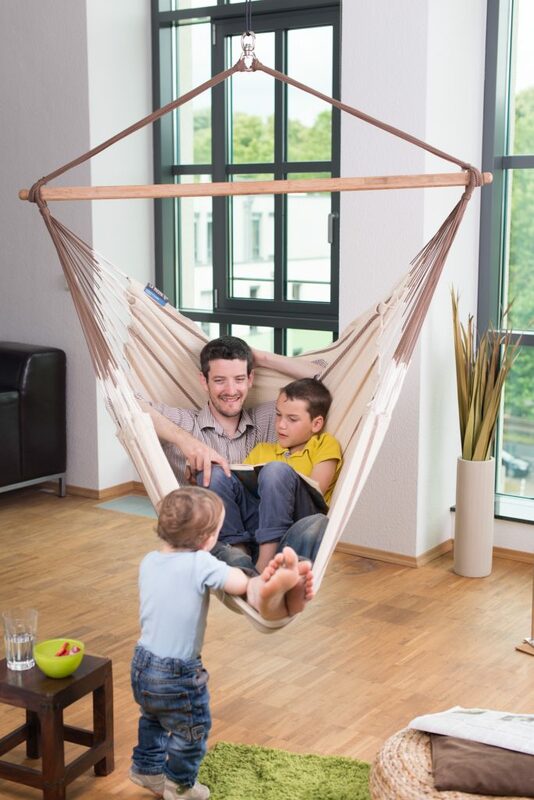 To make the hammock chair more comfortable, it does have an integrated 360-degree safety swivel which makes it possible to easily and safely turn your chair in every direction without the danger of over winding the suspension cords. 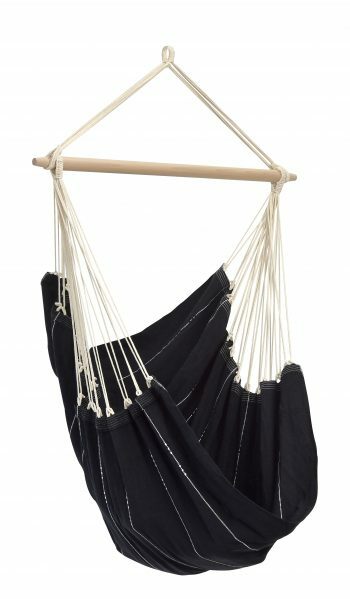 The hammock chair is packed in an ECO-friendly bag. Practical tips and tricks about usage and care can be found on the banderole. 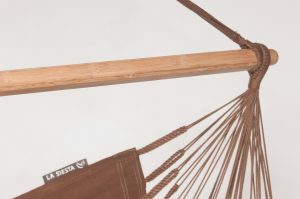 Founded by Alexander and Dorothee Grisar, La Siesta has been specializing in the development, marketing and distribution of hammocks and hammock chairs since 1991. The brand does focus on not only offering the best quality hammocks and hammocks chairs in the market but to do this whilst holding the highest standards in respect of nature, human interaction as well as the environment. To achieve this, the company does focus on quality in virtually all aspects of its product portfolio. For those who pay special attention to nature and are keen on conserving it, the brand does offer organic cotton of the highest quality and all its products are manufactured following the most stringent manufacturing standards. In this regard, the La Siesta brands of products are not only well manufactured but are also beautiful, well thought out, unique and original. Further to the above, extra care has been put in the actual composition of the colors used on the product designs and prints. Driven by its slogan, “The World of Hammocks”, the brand is strongly anchored on sustainability. It does this by constantly developing and implementing sustainable practices that ensure that all the products are manufactured in a sustainable environment that’s respectful to humans, animals and nature. In addition, every time you interact with the brand, you can stay rest assured that the company treats its employees, customers and retailers in a respectful and ethical manner. Put simply, the brands are a true gauge of authenticity and quality. 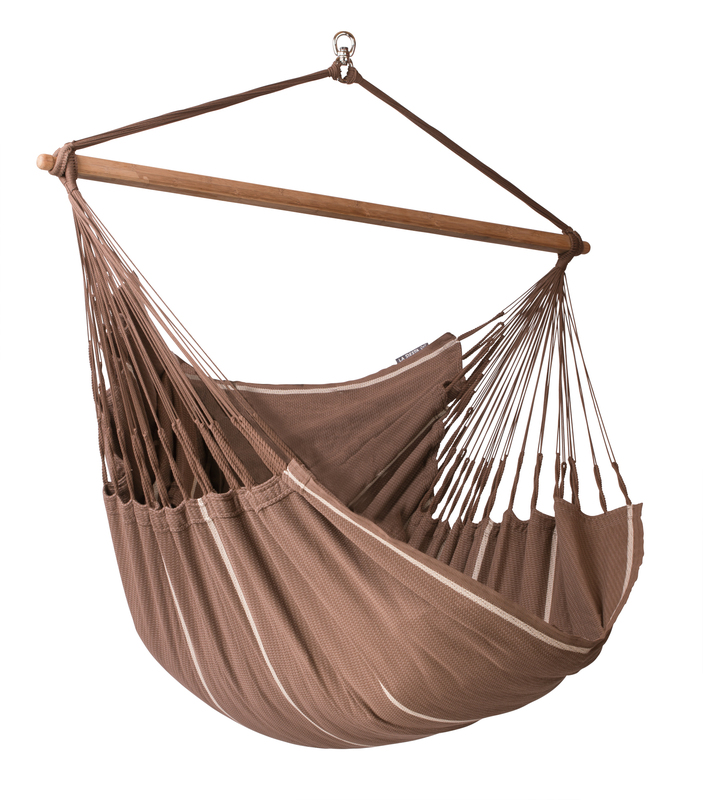 This is without a shred of doubt one of the coziest and most comfortable hammock chairs in the market. Easy to install and maintain, the unit is sturdy, eye-catching and durable. 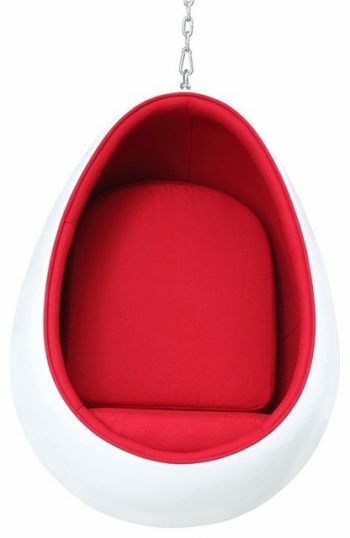 Occupying less space than a traditional hammock, this unit does stand out due to the high quality workmanship, durability and unique comfort it offers users. The unit is also very soft to the touch and smells nice right out of the box. La Siesta meets the highest standards of quality with respect to nature and humans, and under the slogan “Fair to humans, fair to nature” is easier to relax. Whichever way you look at it, this is a good buy.